If you do a google search for recent news stories about educational textbooks across the United States, you’ll find some pretty abysmal articles. Whether is the heavy influence of the Religious Right in Texas, the state which is the largest producer of the nation’s school textbooks, or the awful erasure and white-washing of the racial struggles which are are undeniable part of our history. There has also been a very specific erasure of women’s stories throughout history which has a deliberate and trickle-down effect on gender stereotypes from generation to generation. If young girls and boys in schools grow up only learning about the heroism of George Washington and Abraham Lincoln, and don’t understand the crucial contributions of people like Ada Lovelace or Grace Hopper, there are no prizes for guessing how that will impact their perspectives on gender spaces in the world as they enter adulthood. Thanks to the internet, social media, blogs, and the knowledge of these major gaps in early education, we are seeing many people creating ways to give visibility to the stories and figures who helped build the America we know and love today. Growing up with an ingrained knowledge of women’s contributions throughout history in an equal manner to men opens up a world of possibilities for young girls. 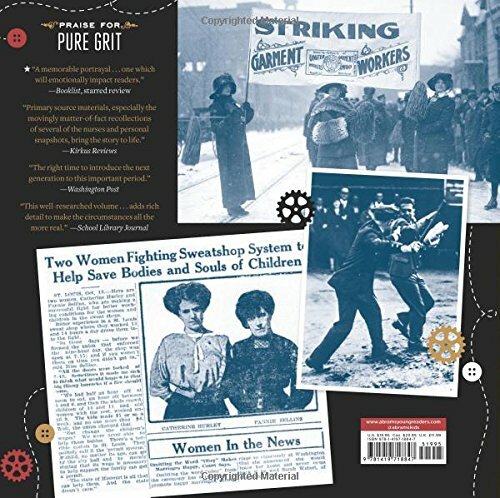 Award-winning author and journalist Mary Cronk Farrell is a woman on a mission to ensure the lives of heroic women are brought to the forefront of education. She has written numerous books about various women who changed the equilibrium with their bravery and determination despite cultural barriers. 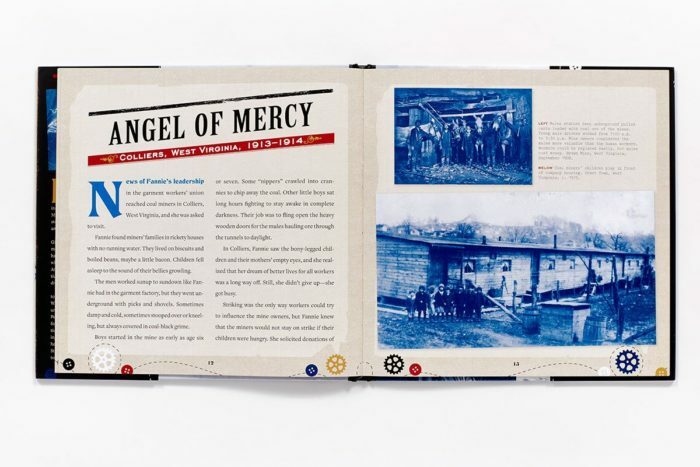 Her latest project is a book about labor rights activist Fannie Sellins who was part of the labor uprising in the late 1800s and early 1900s, before sadly being shot to death. She lived during the Gilded Age of American Industrialization, when men like Andrew Carnegie and J. P Morgan lived lives of luxury while their workers spent long hours laboring for poverty wages. When immigrant women earning poverty wages in St. Louis sweatshops voted to strike, Fannie Sellins was there. When destitute coal mining families dared to unionize in West Virginia – and got thrown from their homes – Fannie was there. 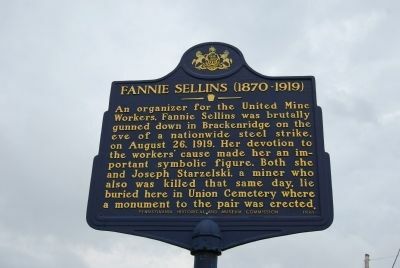 When hired gunmen threatened, beat and shot miners walking the picket line in Pennsylvania, Fannie was there. This is the kind of book we need to see on every school shelf across America. Released in stores and online today, Mary Cronk Farrell spoke with us about her desire to bring these stories into the lives of youth and why she wrote ‘Fannie Never Flinched’. First of all, you are our new literary hero and we can’t believe we didn’t already know about you! Why did you decide to write books about badass women throughout history? Thank you! I’m so glad you found me because these women deserve some limelight and I hope my books will help more young people discover courageous role models. To be honest, these historical woman found me. I had no plans to write biography until I stumbled across these women. Although I have always had a deep interest in history. Why aren’t these stories more commonplace in education curricula? Basically, for too long, decisions about what will be taught in school have been made by white, middle class men. These men have seen only the details of history they thought were important. Often courageous women like Fannie Sellins were seen as trouble makers, not the change makers we admire today. 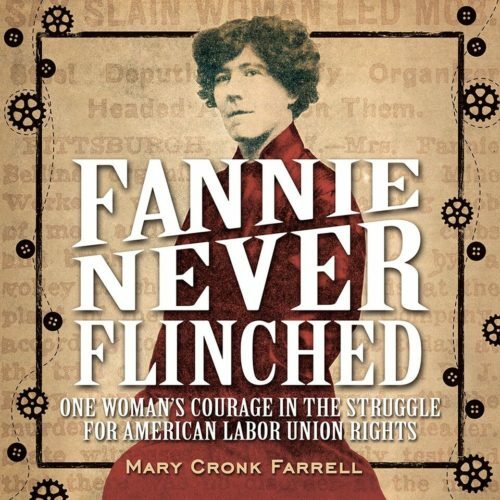 With so much talk about the wage gap, unions and issues like paid family leave during this election, your new book ‘Fannie Never Flinched’ is a great reminder of how far we’ve come but how far we need to go. How did you discover her story? I came across Fannie’s story on the internet as I was doing research for another book project. I was flabbergasted that I’d never heard of her. The fact her killers went free roused my ire and offended my sense of justice. 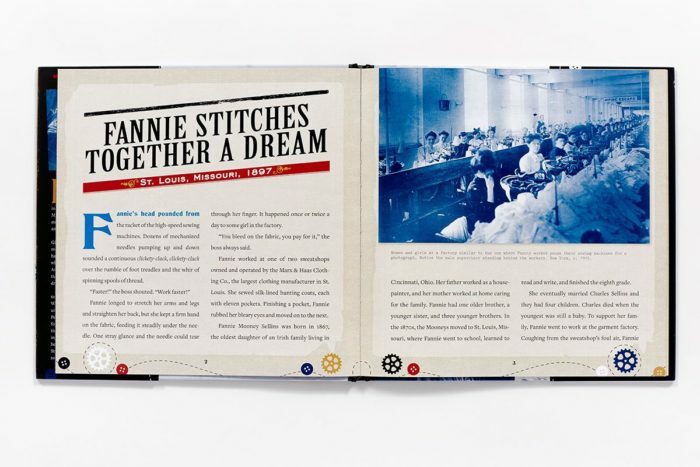 Fannie’s story was crying out to be told and all I could think was—everybody needs to know about this! What was it about Fannie’s activism and story that pushed you to write a book? Besides the total injustice of the story, what drew me to Fannie was her combination of compassion and courage. She truly had a heart for poor, downtrodden families and she believed they deserved better. She believed in their strength and courage, and she helped them to see that if they came together, if they stood up for themselves, if they demanded fair pay and treatment, they held the power to change things. Fannie showed her compassion by throwing her lot in with cold and hungry children. She raised money for food, for shoes and coats for the little ones. She tended the sick who could not afford to go to the doctor, and accompanied the women giving birth in drafty shacks. 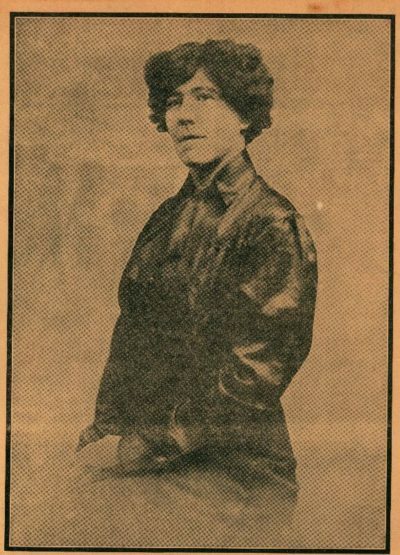 Fannie showed her courage by standing on the picket line with the men, by standing up to armed thugs paid to break the union and by risking her life for the workers and their families. As an award-winning author, journalist and two-time Emmy-nominee, it is clear you are passionate about your work. How do you begin your research process when starting a new book? When I decide to write a book I read absolutely everything I can find that has already been published about it—books, newspaper articles, scholarly papers, anything I can find on the internet—looking for the most credible sources, the primary sources. Then I begin to search for any living family members who might have information or photos. Then I schedule a trip to the National Archives and Records Administration, which is our nation’s repository for documents, photos and film. Can you point to some of the tangible results of Fannie’s tireless work during her life? 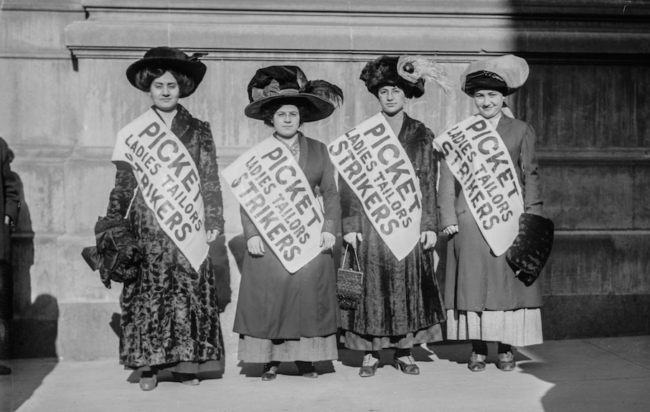 Fannie was instrumental in the success of a garment workers strike in St. Louis, Missouri, in 1910. She traveled the country speaking and raising money for the strike fund, which allowed the women to remain on strike for two years. Imagine that! The company held out against the workers for two years before agreeing to raise wages. You can see that strong leaders like Fannie were important in keeping up the workers’ morale through the long days, weeks, months and years of a labor strike. In the end, though, labor unions did not make huge gains in Fannie’s lifetime. The miners she went to jail for in West Virginia did not gain the right to unionize until the 1930s. The year after Fannie was killed in Western Pennsylvania, steelworkers there joined a nationwide strike and all across the country, hired gunmen, police, and soldiers lined up against them. Hundreds of workers were intimidated, beaten, hauled from their homes, and jailed on flimsy charges. Federal troops put down the strike in many cities, leading to more violence and several workers’ deaths. Within ten weeks, the strikers folded. As had happened time and again, they went back to work with no gains, their effort a dismal failure. Was Fannie’s courage and belief in the rights of workers all for nothing? No. Fannie was one step of progress in a long, rough and dangerous journey toward justice and equality. The labor movement required many sacrifices like Fannie Sellins’s over a long, long time—more than a century. And the gains have continued to ebb and flow. The fight’s not over yet. We are not fans of the idea that “if you work hard enough, you don’t need rights or the government paving the way because you’ll be able to get it yourself” often touted by certain politicians. Why are labor rights important to every person in the workforce, but especially women and minorities? Labor rights are important because our economic system is based on making a profit and there are always greedy people willing to take advantage of others to increase their own wealth. Women and minorities are particularly at risk because in many circumstances they have not yet gained power equal to that of whites and men. Can you tell us briefly about some of the other books you have written and the women you feature? Another book that might inspire your readers is ‘Pure Grit: How American World War II Nurses Survived Battle and Prison Camp in the Pacific’. This is a story, not of generals or soldiers or military strategy, but of American nurses serving in the Philippines when the Japanese attacked the islands December 8, 1941. The women had no training in combat nursing, but staffed field hospitals in the jungles of the Bataan Peninsula and in tunnels on Corregidor Island. The women ducked machine gun fire while aiding in surgery and dodged bombs while fighting round-the clock to keep American soldiers alive. When Americans surrendered, nurses were captured by the Japanese. How did they survive fear, disease and starvation for three years in prison camp? ‘Pure Grit’ is the story of their courage, their bonds of friendship and their will to survive. How have some of your own life experiences contributed to your passion to share stories about other women who have triumphed despite the odds? For me, it is writing about these women that has helped me gain faith in myself and courage to deal with difficult and painful things in my life. I will most likely never be captured a prisoner of war, or killed on a picket line because I am a white, middle-class American with privileges that many people in the world do not enjoy. However, all of us have a hard time getting up in the morning some days. All of us have conflicts with people, school or job disappointments, loss and grief. What I’ve learned from these women I write about is not to be motivated by fear of bad things that might happen, just focus on the job in front of me today and reach out and create bonds with others for support. What makes me a powerful woman is that I have identified a purpose in my life—sharing inspiring and informative stories and I am passionate about this purpose and pursue it with as much integrity as I can. I cultivate loving relationships to support me and I practice mindfulness in an attempt to become more compassionate. Thank you for this opportunity to talk about Fannie Sellins and my books. I’m honored and so appreciate your interest and insightful questions. 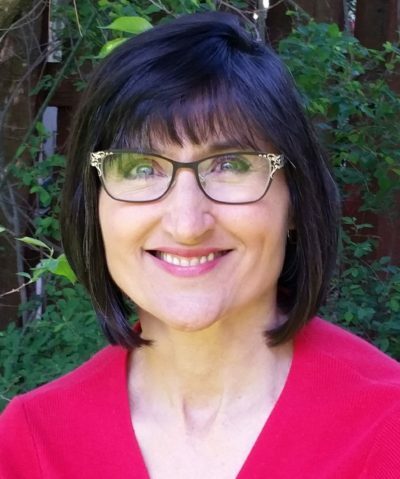 To find out more about Mary Cronk Farrell, visit her website. To purchase a copy of ‘Fannie Never Flinched’, click here.